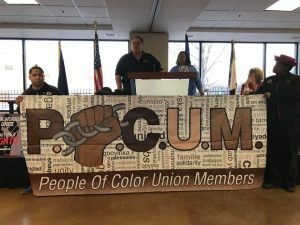 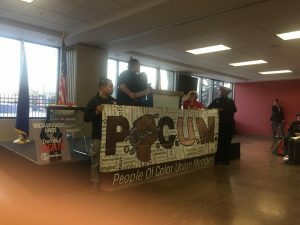 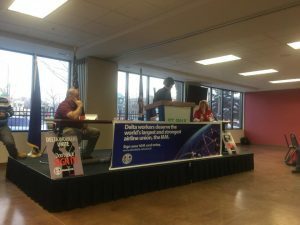 The IAM-Delta organizing campaigns last week held a rally in Minnesota that drew approximately 200 participants from around the country. 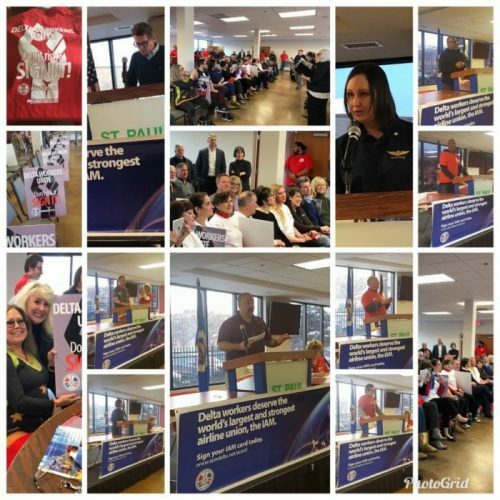 The standing room only rally united Delta workers from all classifications- flight attendants, ramp, customer service and mechanics. 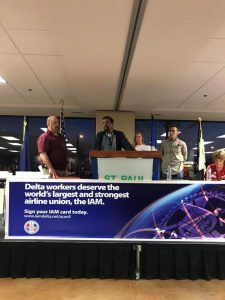 Delta workers spoke passionately about their need for IAM representation, including flight attendants Tammy Rustad and Bob Cannatelli who gave rousing personal speeches. 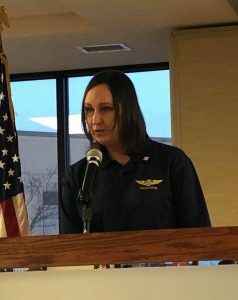 Congresswoman Betty McCollum also spoke, lending her support to all IAM-Delta campaigns. 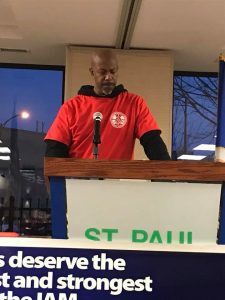 Other AFL-CIO affiliate union members were present as well, backing all Delta workers. 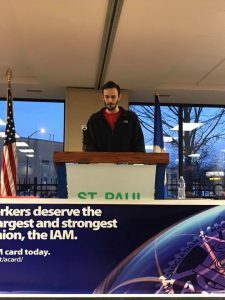 Fifteen IAM staff members attended the event along with volunteer organizers from other IAM-represented airlines. 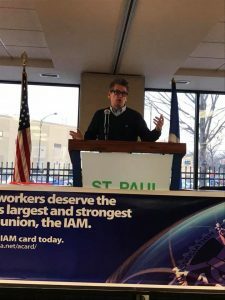 IAM representatives again expressed the full support of the world’s largest airline union. 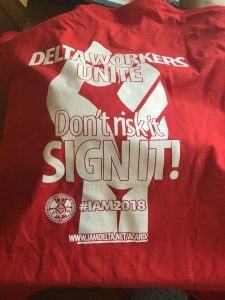 The rally was a tremendous success, further unifying all Delta workers’ quest for IAM representation.